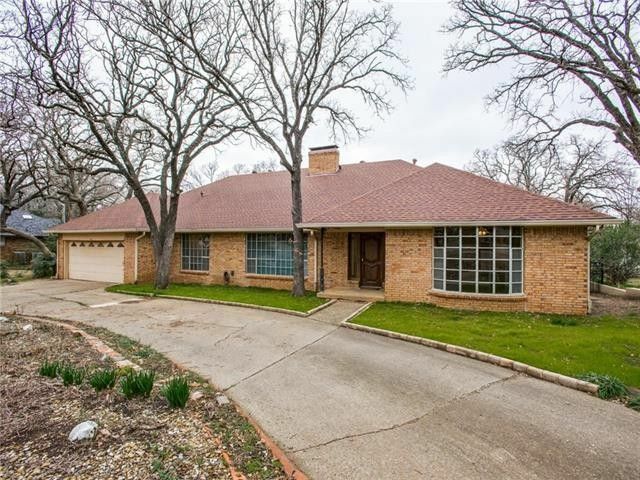 Welcome to this enchanting property on .40 acres backed up to the Army Corps Of Engineer property on Lake Lewisville where there are lots of trees and no one can build behind you. Rare opportunity to appreciate the unique craftsmanship of cabinetry and design in kitchen and family room. You will enjoy comfortable living in this phenomenal one story with expansive rooms and tons of storage throughout. Easy to make personal changes with desirable pier and beam foundation. Picturesque lot drenched in trees for that awesome country feel. Directions: I-35E go south from Denton take Garden Ridge Exit, West on Highland Village Rd, Right on Lakeland Dr., house on the right.I-35E go north from Lewisville exit west on Garden Ridge, right on Brazos, right on Sellmeyer, right on Highland Village Rd, left on Lakeland Dr., house on the left.